Only Grizzly could pack so many big features into a benchtop machine! 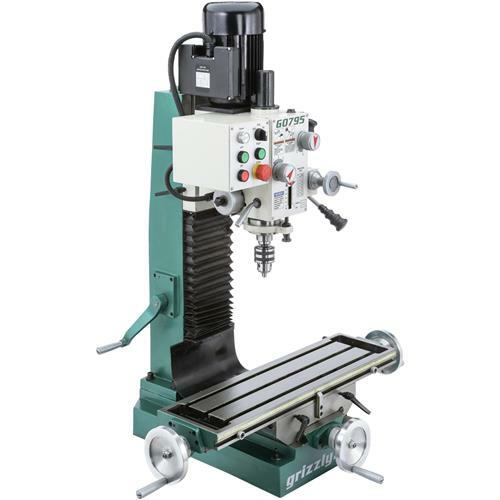 This great mill/drill sports some of the same features found on much larger machines. 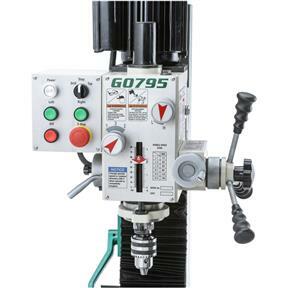 The G0795 comes with a dovetail column, a variable-speed, 1 HP, 220V motor, an R-8 spindle, and a large 7-1/2" x 27-1/2" work table. 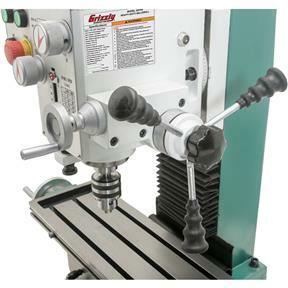 The mill/drill base is made from heavy cast iron to ensure cuts are smooth and vibration free. 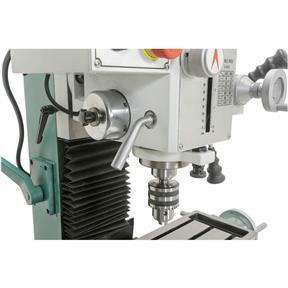 This is an excellent value and great for seasoned machinists or those just starting out. 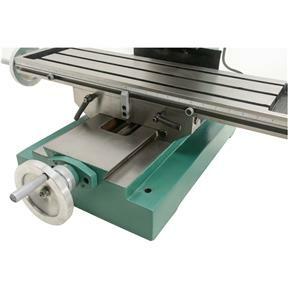 Table size: 7-1/2" x 27-1/2"
Table travel (X-, Y-Axis): 14-3/16", 7-1/2"
Approximate shipping weight: 496 lb. I am very happy with the G0795. Great value for the price. One issue however is turning on the spindle in high gear from a cold start causes the power supply fuse blows. I find that if I start machine in low gear I can avoid this problem. Once machine has warmed up it can be started in high gear without issue. I ordered a handful of spare fuses just to be on the safe side. I followed the break-in procedure as outlined in the manual. The shop room temp averages 70 degrees F. Perhaps the gears are still to new and stiff and will eventually ease-up and not draw excessive amp on start up. I have had my Grizzly HD benchtop for about 4 months now and It works great. I did have trouble with the centrifugal switch points burning out on the motor, but the customer service/ tech support team was quick with advice and a replacement. 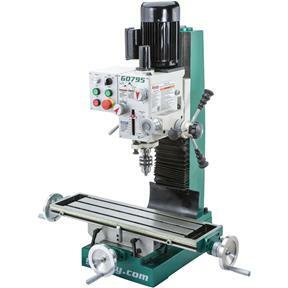 Top notch, I would definitely recommend this to someone looking for a benchtop type mill.